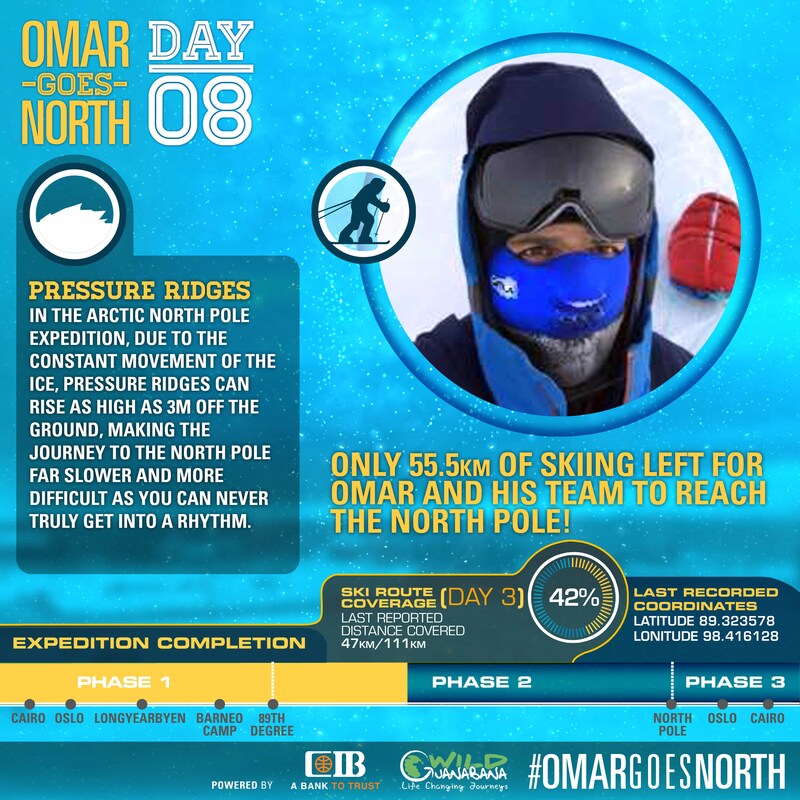 Omar is now at the 89.3 degree, which is almost halfway to the North Pole. 8 hours of walking today covering 15.5 kilometers. The weather today was much colder around -20 degrees but the sun finally came out. There were also much less winds which is it good as it could have dropped 10 degrees lower. The sun allowed for a clear day with beautiful scenery. The sunny day mean it was a great chance to take great photos and video as well. The cold did have an effect on Omar after he lost his glove but he used hand-warmers and constant movement to keep them warm. The only negative aspect from the cold was Omar found it colder without the lost glove. Omar having felt pain from his shoes that had no sole has made a new sole using his foam mat and a knife. The team are now 55.5 km away from the North Pole, almost halfway. Many things went well today there were no ice leads (cracks), it was akin to having all green traffic lights. An incident that could have been disastrous a team member dropped the tent, while sledding. 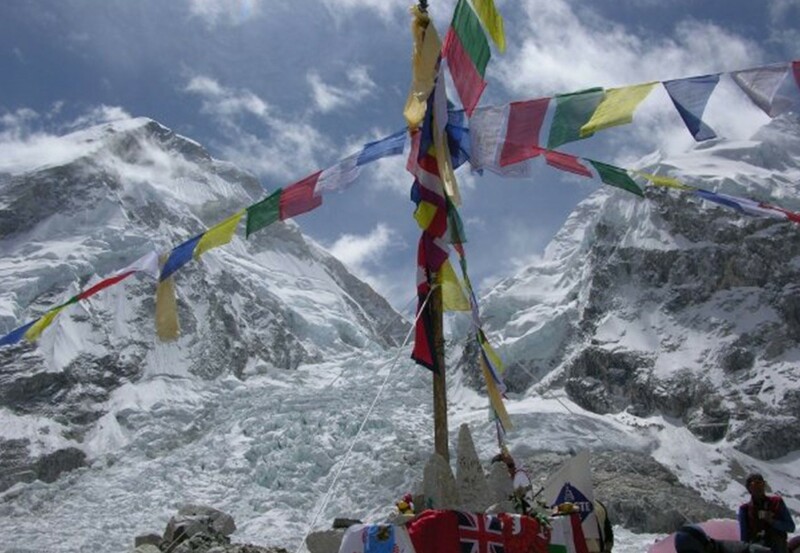 After 30 mins of searching they eventually found the tent, if they hadn’t the expedition would have been over. The ice drift was positive yesterday moving them 7km closer to the North Pole. Hopefully if the drift works in their favour they could finish in 3 days but that is being optimistic Omar and the team have set up camp and now it is time for soup and rest.